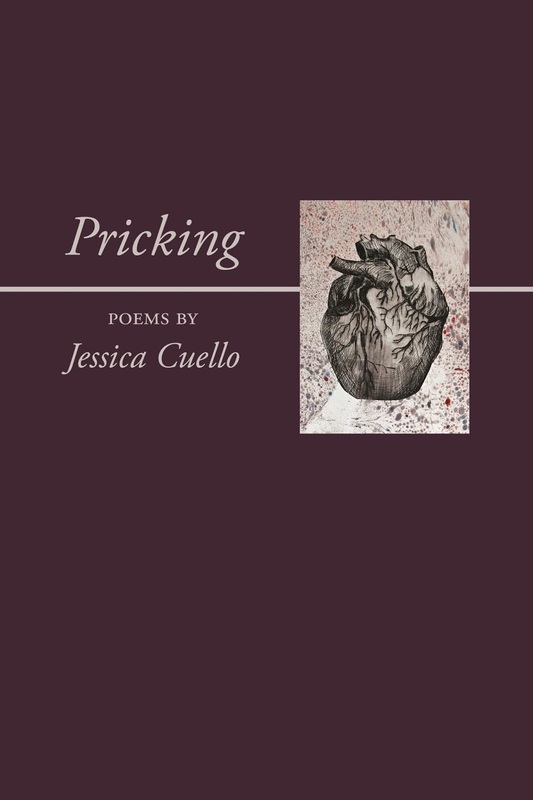 Pricking is Jessica Cuello's first full-length manuscript. Her second collection, Hunt, was the winner of The 2016 Washington Prize from The Word Works and will appear in March 2017. She is also the author of the chapbooks My Father’s Bargain (Finishing Line Press 2015), By Fire (Hyacinth Girl Press 2013), and Curie (Kattywompus Press 2011). She was the winner of The 2013 New Letters Poetry Prize and the recipient of the 2014 Decker Award from Hollins University for outstanding secondary teaching. Jessica was selected as a Juried Fellow by the Saltonstall Foundation. I interviewed Jessica on my personal blog last year about her chapbook My Father's Bargain. You can read that interview here. Jessica Cuello's first book Pricking is titled after the act of pricking, a method of witch-hunting in the Middle Ages. Suspects, usually women, were forced to strip naked, while witch-hunters, usually men, pricked the marks on their body—birthmarks, moles, pimples. If the hunter found a spot that didn't bleed, the suspect was declared a witch. Using special needles, these often-times paid hunters would prick and prick until they found a spot that didn’t bleed and would identify that mark as the devil’s mark. The title of the book is indicative of what I sense to be the primary impulse of the book: Woman’s struggle for autonomy over her body, the connection between bodily integrity and empowerment. The book as a whole is comprised of compressed and spare persona poems that place us smack in the Middle Ages. We find ourselves caught up in the lives of three French women thought to be heretical: Esclarmonde de Foix, Joan of Arc, and a midwife. Through the use of imagination and historical fact, Cuello fleshes out a captivating narrative that brings each woman to life. There are three sections to the book, one for each woman. The first is in the voice of Esclarmonde de Foix, a prominent leader in Cathar Church in the thirteenth century who was accused of heresy by the Roman Catholic Church. The origins of the Inquisition are in Rome’s effort to quash the heretical Cathers, a religious group in the south of France whose practices were believed to contain elements of witchcraft. Esclarmonde had six children and is thought to have turned to Catharism after the death of her husband. This first section opens with three poems that set the stage for Esclarmonde's rise as a leader of the Cathars. The first poem "The Births: 1186" is about Esclarmonde giving birth to her children and introduces birth as one of the themes of the book. This first poem also signals Esclarmonde's turn towards religion after her sixth child: "After my sixth I locked the door. / ... / The natural world is hard and dirt. / I want to scrape it off my skin." The second and third poems center around her mystical conversion experiences. In "Conversion: May 1204," Esclarmonde begins to hear voices, a whisper that has "no decision it," faint voices that she discovers can't leave, because "they were in the body." While there was indecision in the first conversion poem, the second conversion poem, "Conversion: June 1204," is resolute: "God reversed me. See my legs / jaunt up the hill. / The hot wind is His mouth / around me." in the self-importance of our birth. I paused and thought of your boyish head. from the last litter of our kind. that you’d killed more of them. I dream in silence of Lorraine. my fingers like a mother. This reference to being a mother bridges back to the opening poem of this section and suggests that Joan is realizing the end of her prophesy, of her usefulness to God. The idea of mother continues in this section's final poem "Isabelle D’Arc Thinks of Jeanne," which is in the voice of Joan of Arc's mother. Coming as it does after a poem titled "Executioner," we know that Joan of Arc is now dead. It strengthens the poignancy of the poem, a mother bearing the grief of a lost child, as we listen to Isabelle talk to her daughter: "I hear your humming while I work / as if you left it in the timbers of our home." The idea of the child being heard and held within the timbers (walls) of a home presages a metaphor of womb-as-a-room, a metaphor that is introduced in the next section. The third and final section of the book is set in 1580 during the Reformation and associated witch trials. The poems are told in the voice of a midwife. Unlike the second section, which begins with the speaker not wanting to be a mother, this section opens up stressing the importance of motherhood and birth. In the opening poem, "Midwife," the speaker, who is assisting in a birth, uses room as a metaphor for the womb: "All of us began in a room." Speaking of the woman giving birth, the midwife asks "What room is she?" and answers her own question, an answer which highlights the importance of bearing children during this time period: "Walls that go / when they hold no one." The story turns once the speaker is widowed: She stands accused of witchcraft, likely due to the death of the babies. At the time of the Reformation, some people drew a connection between midwifery and witchcraft. Midwives were not infrequently prosecuted in church courts for providing charms either to assist the mother in childbirth/ pregnancy or to encourage conception. In the poem "Evidence Before the Court" (see the third poem in the link), the midwife denies that she crafted an aigullette "to take a man away." An aigullette is, among other things, a knotted loop of thread used by midwives and/or witches to cast a spell, either for bareness in the case of women, or impotence in the case of men. Through the skillful use of anaphora ("I never / never" repeated twice), the reader is left wondering if perhaps the speaker has indeed used the aiguillette. In the poem, the allusion to Eve, Original Sin, and the biblical garden ("an apple in my / bucket smelling / of the devil") foregrounds the belief at the time of the inherent evilness of women and the blame of women by the Judeo-Christian church for all ills that beset humanity. After the accusation of witchcraft, the midwife is subjected to a number of tests: "Lack of Tears (see the fourth poem at the link)," "Pricking Test," "Water Test," and "Fire Test." The tests were nothing less than legalized abuse, sexual violence, and murder. Unfortunately, the midwife meets the fate of many who stood likewise accused—she is found guilty of being a witch ("They found the marks," from the poem "Limbo.") The midwife speaks from beyond the grave in this final poem in an understated tone, with what I read as relief: "How familiar: I won’t belong / to the face that made me. / I won’t belong by living." One leaves this last section feeling the full potency of being accused of, and/or prosecuted for, witchcraft, how potent it was as a tool of intimidation, how effective—almost foolproof—it surely must have been in controlling women and their bodies. like the caves: cool, silent. ...until the final poem, "Limbo," in which the midwife "waits with the unsaved babies," her soul in limbo, body-less like the others there, until they are reunited with their bodies at the Resurrection. 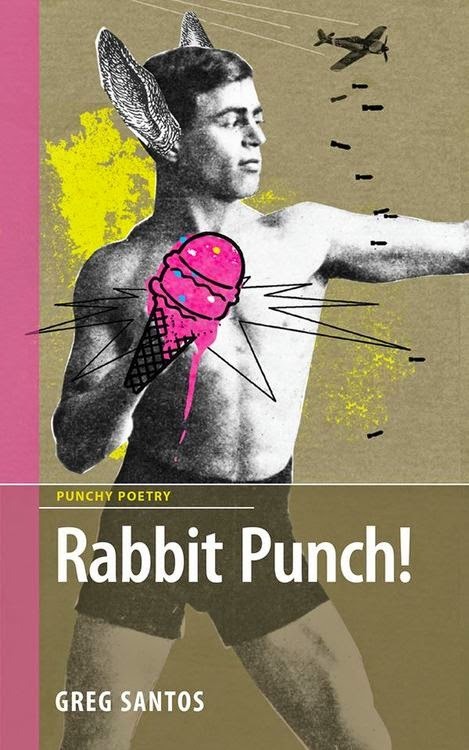 Cuello's consistent use of an understated tone and her finely-chiseled, spare language serve the poems well by standing in contrast to the violence witnessed in the poems. Cuello's poems bring history to life. A sailing planet in her hands.